Live the Moment – and let Waldo find and deliver them! 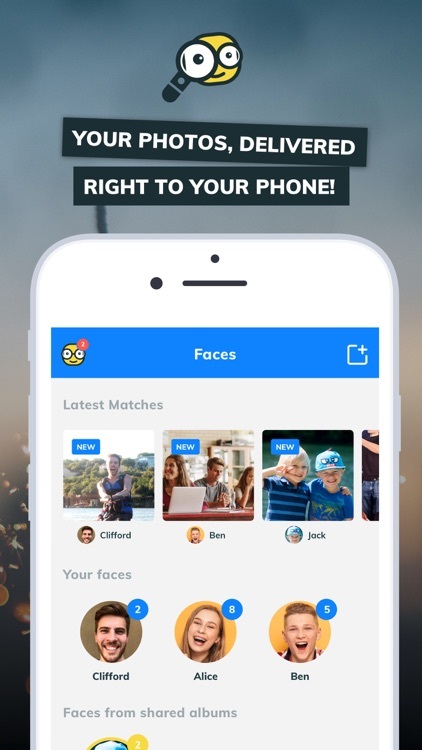 Waldo is a photo finding phenom that uses facial and object recognition to find photos of you taken by others and delivers them directly to your phone. Used at summer camps, schools, youth sports associations, resorts and attractions, events big and small, and by pro photographers, Waldo is the time-saving and intelligent photo software solution you’ve been waiting for. You submit a selfie, Waldo finds your photos. It’s that easy. 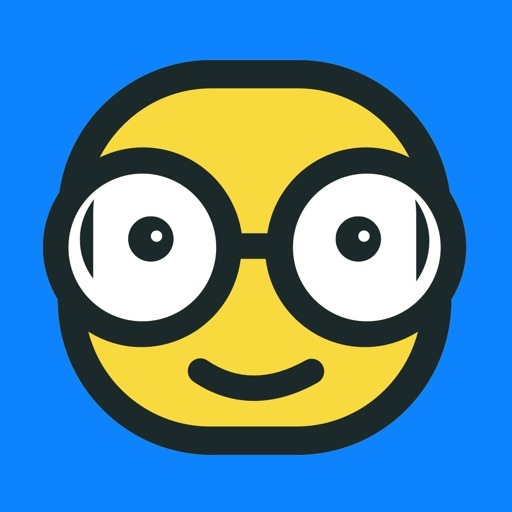 Waldo uses YOUR photographers and events powered by new technology that removes all the friction between the photographer and you. Your photographer (at camp, at school, at your friend’s wedding or your favorite family resort) takes the photos and uploads them to the secure Waldo cloud in real-time. 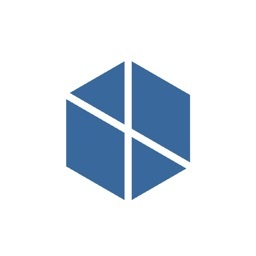 Then, Waldo's proprietary matching platform finds your photo needles in album haystacks and delivers them instantly to your phone via text and app. 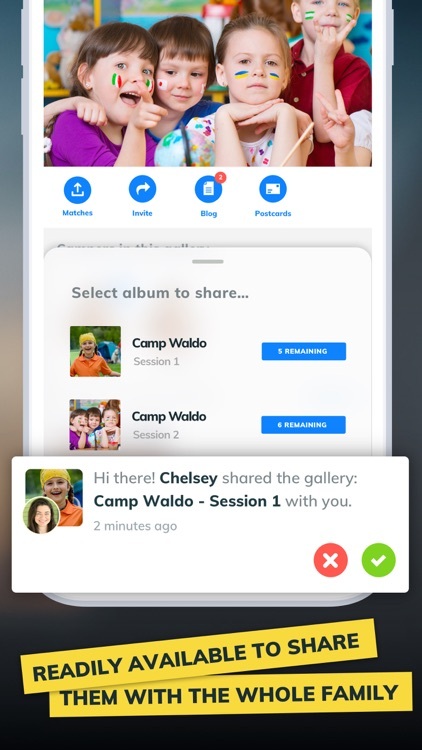 WaldoCamps uses its facial recognition technology to sends camp families a text every morning with photos of their camper from the day before. No more worried parents! No more parents weeding for hours through thousands of camp photos. 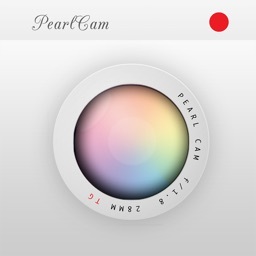 This camp photo software features a powerful photographer dashboard that reports all the photos stats of your campers, cutting down on parent worry and phone calls. AND.. it serves as a fundraiser for camper scholarships and other designated charities, with a revenue model that shares proceeds with the camp. 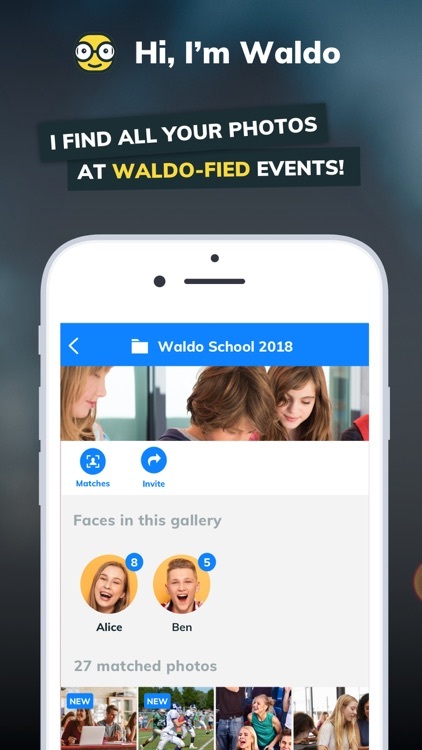 WaldoSchools brings the power of facial and object recognition technology to yearbook staffs and schools around the country. No more photos discarded on the cutting room floor. 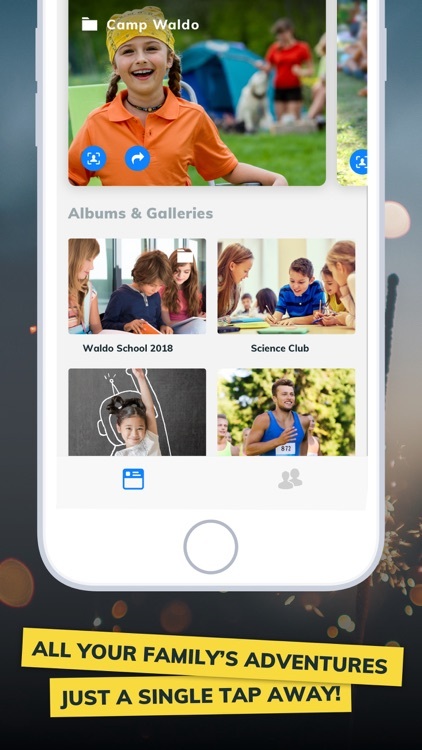 Empower your school photographers with technology that shares photos immediately with parents who want to see all their child’s moments from school. Sporting events, school plays, pep rallies, science fairs, field trips and more. 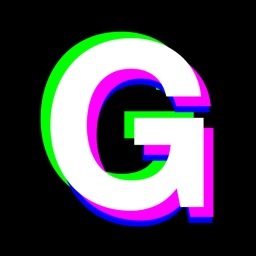 All the moments - now delivered via photo sharing app. This school photo software also serves as a fundraiser that sends revenues back to the school for underfunded projects, organizations, or supplies. Waldo works with premiere resorts across the country to provide visitors with all the memories from their vacation and holiday. No more faded print-outs or lost moments taken by a photographer who never followed up. All your professionally-taken family vacation photos, sent directly to your phone. 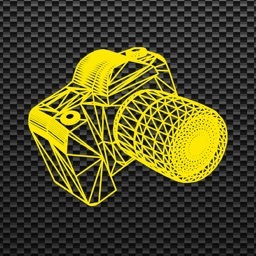 WaldoSports brings revolutionary technology to the antiquated youth sports photography industry. Using facial recognition to connect local youth sports photographers to the players on the field, Waldo provides a new way to capture, share, and distribute youth sports photos. 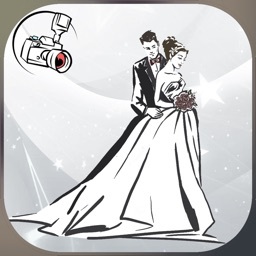 WaldoEvents is an event photo app with the power of facial recognition! Waldo works with event planners and professional photographers to provide photo matching and delivery services at small and large-scale events. Delight your attendees, boost sales, create buzz, and amplify your brand, all through the Waldo event photo platform. We know - you’re a talented photographer. But your photo purchase and delivery system is stuck in yesteryear. Waldo is revolutionizing photo software for pro photographers with facial and object recognition, mobile photo delivery and one-tap purchase and share options, state-of-the-art copyright protections that prevents screen captures, and a dashboard that reports on all your sales and photo analytics.